Welcome to OxRecs DIGITAL. Specialists in classical location sound recording throughout the UK. This website has a catalogue of recordings you can order online, as well as reviews and sound samples. Would like to have a recording of your choir, organ or instrumental ensemble to sell on Amazon or iTunes? Would you like a special concert recorded, or maybe you need to do some fundraising? If so, please get in touch!. Location sound recording for choirs, organs, ensembles, or solo instruments. From single promotional CDs to commercial pressing runs. Digital editing, P/Q encoding and CD mastering. Typesetting & Design compilation for CD booklets and inlays..
Sound Restoration & Audio processing. 28 November: Love bade me welcome. Wadham College Chapel Choir CD released. Features Anne Page (harmonium) playing Guilmant Sonata no. 4 with Katharine Pardee. 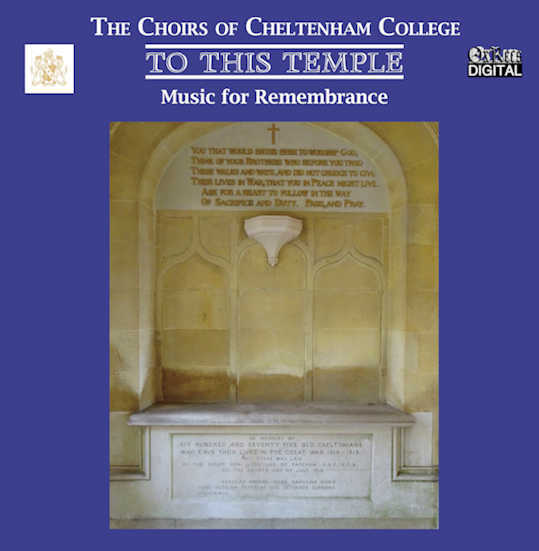 October 2018: To this Temple - The Choirs of Cheltenham College just released. August 2018: Private release of CD for St Giles' Church Choir Oxford. July 2018: Keble College Organ recording with David Maw. June 2018: Soprano & piano recording at St Peter's College, Oxford. April 2018: Concert recording of St John's Choir Devizes. March 2018: Wadham College Choir recording with Anne Page. February 2018: Cheltenham College Choirs recording. November 2017: Just released. Lumen de lumine by the choir of Oriel College directed by David Maw. Music for the Christmas Season including new compositions. October 2017: Just released. Four Songs of Time's Return. Music by David Goode, words by Francis Warner. Available with score through Colin Smythe Publishers. Premiere recording of A Legend's Carol (music by David Goode, words by Francis Warner) with soloists and Oxford Symphony Orchestra in the Sheldonian Theatre. Summer 2017: Transcription of David Wulstan's reel to reel tape archive. Many recordings of Clerkes' broadcasts and live concerts. Archive CD planned for January 2018. 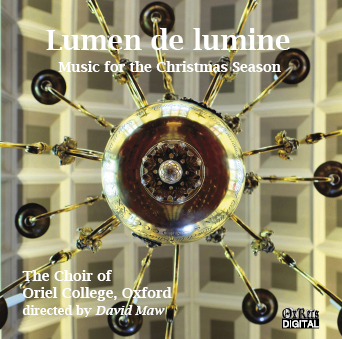 Oriel College Choir CD in preparation: From Advent to Candlemas. May 2017: Links to Youtube channel inserted on key webpages. Video compilations of archive choral recordings and instrumental arrangements. March 2017: Further to sound restoration of a 70-year-old archive of reel to reel tapes, a 2-CD set has now been produced only for this private collector: Boris Ord conducts The Choir of King's College Cambridge (1956-7). December 2016: O Sing Joyfully Worcester College Boys' Choir just released. October 2016: On Christmas Night Exeter College Chapel Choir just released. November: Eight Sonnets released. Richard Lloyd Morgan (Baritone), Music by David Goode, Words by Francis Warner. Available from Colin Smythe Publishers. October: An Advent Sequence (Keble College Choir) now released and only available directly from the college. September: Magdalen Archive CD - now available to order, details below. Advent CD of Keble College Choir directed by Simon Whalley to be released at the end of the month. Details in catalogue. July: Song of Wisdom by St John's College Chapel Choir. Recorded and released to celebrate the two-thousandth women who have matriculated from the college. OxRecs is pleased to be selling a title played by David Gammie at the organ of Church of the Sacred Heart, Wimbledon. Details in catalogue. February: We are putting together an archive CD of mainly BBC Choral Evensongs by Magdalen College Choir 1960-76, which will include Byrd Great Service recorded with New College Choir in 1963. Details here. Please get in touch to reserve your copy. December: Frikki Walker (On a lighter Note) just released. February broadcast on BBC The Organist Entertains. November: Trinity College Choir (Let there be Light) just released. St Peter's College Choir (The Church Music of Samuel Sebastian Wesley) just released..
June: St Peter's College Choir - Recording Wesley anthems CD. May: Six Anthems (Text: Francis Warner, Music: David Goode, The Choir of King's College, Cambridge) currently in preparation. Glasgow Episcopal Cathedral: Frikki Walker Organ recording for release later this year. March: Recording Trinity College Choir for their forth CD release. BBC: Southbank Organ Collection. Listen out for the Tudor organs. March 2014: Reviews of Southwell Splendour 2, as well as Anthems & Motets of the Romantic English Collection now online. February: Ben Ponniah commission with Ensemble 45 directed by Will Dawes. February: Lucy Cox (Soprano): promotional CD. 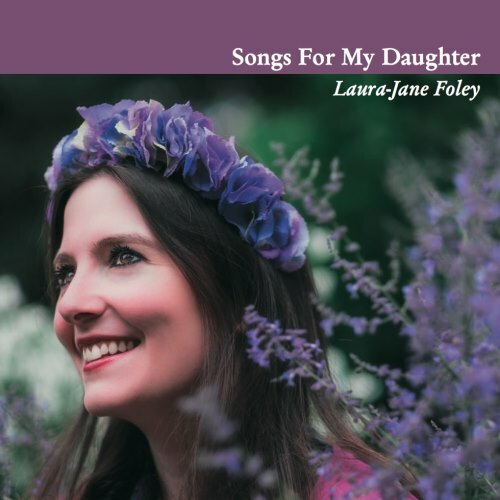 Laure-Jane Foley sings a collection of classical songs, poetry and lullabies.